Now there is a Sesame Street Pencil Case you just need for all your pens and pencils. If you like Sesame Street and need a pencil case for work, school, or at home then check this out. The pencil case is white and on it, there are many circles and in those circles, you can find Elmo, Julia, and Abby Cadabby. The pencil case is 9 x 4 inches with a nice strong zipper to open and close it easily. 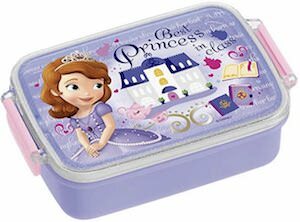 So now pens and pencils can live in this nice case but you can use it to store other things too as it will make your place so much neater if it is inside of this case. Now there is a Peppa Pig Water Bottle that kids and even adults will like. This stainless steel water bottle is 100% BPA free and just fun as it shows Peppa Pig, George, and others having fun playing outside. The water bottle has a is leak proof when closed and even has an extra cover to secure it all. Kids are going to love taking this bottle to school and adventures as now they can have water or another drink ready whenever you start to feel thirsty. If your child loves Peppa Pig and needs a bottle for back to school then surprise them with this fun bottle. If you like How To Train Your Dragon and need a nice water bottle then get this Toothless And Hiccup Water Bottle. This How To Train Your Dragon water bottle comes in 11 different colors and comes in an 18 and 24 oz version and both are made from 100% BPA stainless steel. The metal water bottle shows a circle on it and inside the circle, you can see Toothless with Hiccup on its back and then around it on the edge it says “Toothless And Hiccup”. It is just a fun water bottle that is made to last so that you can stop getting yourself plastic one-time use water bottles and with that save money and the environment. Now there is a fun Minion Character Backpack that is just made to go on adventures with you. 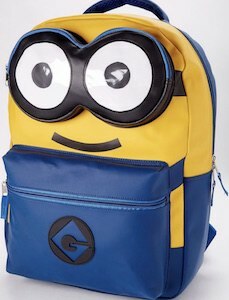 This backpack looks like the typical Despicable Me character in blue and yellow with it’s face with two big eyes on the front. 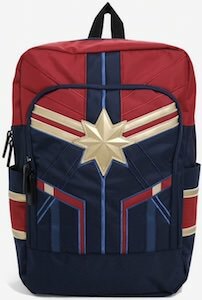 The Minion backpack is a 17 x 12 x 5.5 inches in dimensions and that makes it nice and big and perfect for school and different adventures. 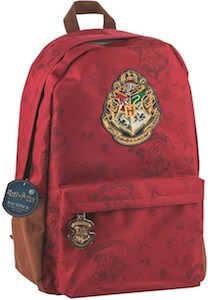 And the outside of this backpack almost looks like it is made from leather and that is different then most backpack and that makes this Minion look even more special. Time to go on a crazy adventure with a Minion on your back. Now you can own a Stormtrooper USB Flash Drive. 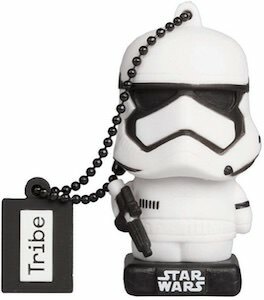 This is a fun looking Star Wars flash drive that really looks like a little Stormtrooper standing on a base that says Star Wars on it. But when you pull the head of the Stormtrooper you will notice that it hold a USB connector and that means that normally it is protected from the elements. And this USB flash drive is 32GB so it offers plenty of room for all your files. No matter if you like to use this USB drive for your Star Wars files or maybe for school or work files and you could make folders on it too so that you can use it for a mix of all your files.